The infamous Battle of Ramree Island has inspired many novels and even a scene from a video game. Here we summarize some of the more popular media which references the events on the strategically important Burmese island. 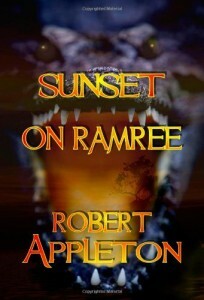 Synopsis: It was no time to fear animals when the possibility of the enemy counteroffensive was increasing. It didn’t suit a soldier to lose nerve in the presence of a mere crocodile At the end of World War II, a garrison of the Twenty-eighth Japanese Army is deployed to Ramree Island, off the coast of Burma, to fight the Allies’ severe counteroffensive. While on the island, Superior Private Minoru Kasuga questions a local villager about the terrible smell coming from the saltwater creek. To his horror, the old man tells him it is the stench of death from the breath of man-eating crocodiles that inhabit Myinkhon Creek. Fierce fighting drives the battalion to the island’s east coast, and they must evacuate to Burma by crossing the creek. Just before they embark, Kasuga smells the same putrid odor that he’d questioned the villager about and warns his commanding officer of the underwater danger. His sergeant ignores him, thinking Kasuga is obsessed with wild stories from the villagers, and he tells the soldiers to cross the creek.Ordered to save the penned-in garrison, Second Lieutenant Yoshihisa Sumi arrives on Ramree Island. But what awaits him at Myinkhon Creek is a sight too horrible to contemplate. Synopsis: It is the deadliest crocodile attack ever recorded. On February 19th, 1945, one thousand Japanese soldiers retreated into the fetid mangrove swamps of Ramree Island hoping to escape their British enemy. However they soon discovered that the sixteen kilometre stretch of marshland that promised to offer safe cover, had delivered them straight into the jaws of hell. Inspired by true events during WWII, Sunset on Ramree follows young musician-turned-soldier Shigeatsu Nakadai and his best friend, Kodi, as they head ever deeper into danger. Synopsis: Based upon actual events. In February, 1945, the Japanese garrison on Ramree Island began a retreat to mainland Burma under heavy British fire. 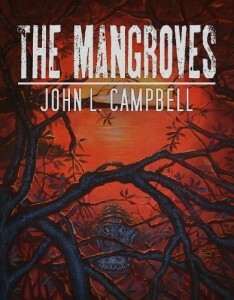 Poorly equipped and on foot, one thousand men of the 121st Imperial Infantry Regiment marched into a massive mangrove swamp, and into the jaws of a nightmare. Days later, only twenty soldiers emerged alive. Lt. Shoji Kichida, a young man weary of battle and longing for home, is about to learn there are horrors worse than war, as he leads his men into what has become known as the greatest crocodile massacre in recorded history. Synopsis: This book, in essence a quadruple biography, tells the story of the four larger-than-life Allied commanders whose lives collided in the Burma campaign, one of the most punishing and protracted military adventures of World War II. Ranging from 1942, when the British suffered the greatest defeat in the history of the Empire, through the crucial battles of Imphal and Kohima (“the Stalingrad of the East”), and on to ultimate victory in 1945, this account is vivid, brutal, and enthralling. 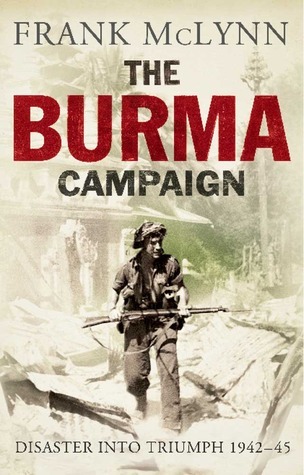 Frank McLynn opens a new window on the Burma Campaign, focusing on the interactions and antagonisms of its principal players: William Slim, the brilliant general commanding the British 14th Army; Orde Wingate, the ambitious and idiosyncratic commander of the Chindits, a British force of irregulars; Louis Mountbatten, one of Churchill’s favorites, overpromoted to the position of Supreme Commander, S.E. Asia; and Joseph Stilwell (“Vinegar Joe”), a hard-line U.S. general, also a martinet and Anglophobe. McLynn draws careful portraits of each of these men, neglecting neither strengths nor flaws, and shows with new clarity how the plans, designs, and strategies of generals and politicians were translated into a hideous reality for soldiers on the ground. 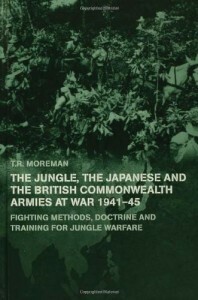 Synopsis: This book focuses on the British Commonwealth armies in SE Asia and the SW Pacific during the Second World War, which, following the disastrous Malayan and Burma campaigns, had to hurriedly re-train, re-equip and re-organise their demoralised troops to fight a conventional jungle war against the Imperial Japanese Army (IJA). British, Indian and Australian troops faced formidable problems conducting operations across inaccessible, rugged and jungle-covered mountains on the borders of Burma, in New Guinea and on the islands of the SW Pacific. Yet within a remarkably short time they adapted to the exigencies of conventional jungle warfare and later inflicted shattering defeats on the Japanese. This study will trace how the military effectiveness of the Australian Army and the last great imperial British Army in SE Asia was so dramatically transformed, with particular attention to the two key factors of tactical doctrine and specialised training in jungle warfare. It will closely examine how lessons were learnt and passed on between the British, Indian and Australian armies. The book will also briefly cover the various changes in military organisation, medical support and equipment introduced by the military authorities in SE Asia and Australia, as well as covering the techniques evolved to deliver effective air support to ground troops. To demonstrate the importance of these changes, the battlefield performance of imperial troops in such contrasting operations as the First Arakan Campaign, fighting along the Kokoda Trail and the defeat of the IJA at Imphal and Kohima will be described in detail.